Reasons Your Garage Door Won't Open | R&S Erection of Vallejo, Inc.
We’ve all experienced the confusion and slight amount of panic that happens when you’re in your car, ready to end the day, and your garage door won’t open. It’s okay. It happens to all of us. Nonetheless, it is stressful and incredibly annoying. If you happened to hear a loud banging noise just a few minutes earlier, that means your torsion springs – one of them, at least – is broken. It’s okay. That’s what happens to torsion springs, they can only be used so many times, and eventually, they just wear out. One way to check if your torsion springs are broken is by checking to see if the garage door appears slightly crooked and if it appears to be misaligned or oddly proportioned. If this is the case and you do have broken torsion springs, do not under any circumstances, try to fix them yourself. It can be very dangerous to do so, and you should hire a professional who knows what he or she is doing and can fix the problem without too much of an effort. Every garage door runs on a metal track. This track guides its movements and, with the help of the torsion springs, it’s able to open and close. To fix this – again, this supposes that you can access the inside of your garage – take a look at the track itself and try to see if there are any gaps, bends, or things that may hinder successful movement. To fix this, loosen the screws of the frame, use a mallet to tap the track back into position, and then tighten the screws. A rubber mallet works best. Every garage door comes with a switch that allows you to open up the door manually. This is for power outages and events where you may need/want to open the door by yourself. Some of these switches are electronic, but most of them are manually operated and easy to switch on and off. If you don’t know where the switch is, try to find the garage door and then find a switch that is right by it, often near the ceiling. 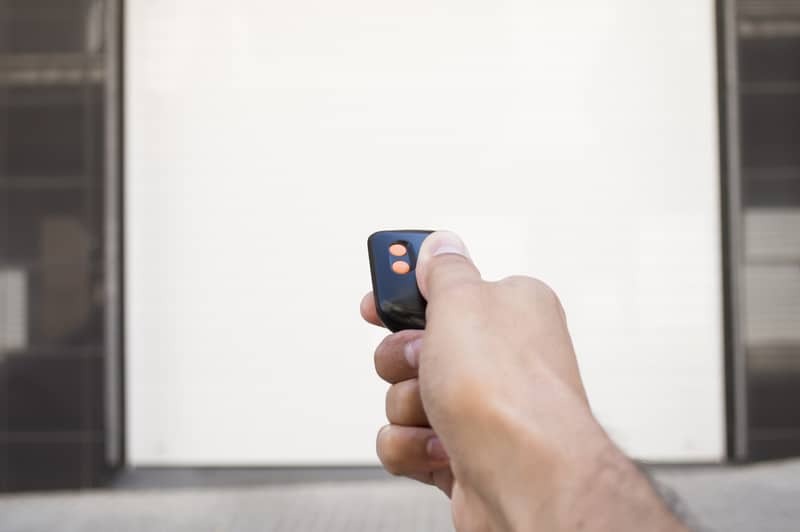 Pull the switch to back or forward, depending on where it’s at currently, and then try to open the door using your garage door opener. If it works – and chances are, it will work – then you’ve solved your problem! If it doesn’t, that could mean that the springs are broken or something else. In that case, give us a call at (707) 644-5537, and don’t forget, we do emergency services so we’re always there to help! © 2019 R&S Erection of Vallejo, Inc..